Please do not smoke outside the designated smoking area. "REAL GROOVE", which is held every Thursday, has a theme of good music and communication. The specialty hamburger is also delicious. Residents DJs from White Space Lab, mainly based on underground techno and house music, create a space with high quality. 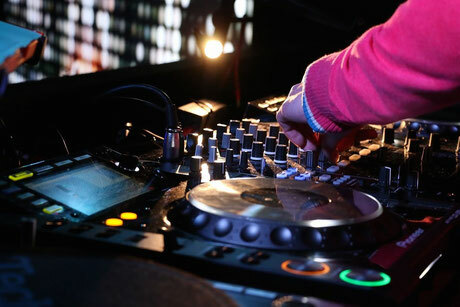 "REAL GROOVE" will propose creating a community that can follow the underground dance music scene. White space lab 's specialty Hamburger × Disco "Hamburger Disco"
Disco, boogie, funk, soul, rare groove, japanese disco etc. We will deliver true dance music that anyone can enjoy, centering on records remixed to the latest club specifications for dance classics. If you want to dance in good music, please come. Disco DJ Mix Try listening. "Shibuya Crossing" many people go and go. With the hint of "Shibuya crossing", it seems interesting to intersect DJs and their guests of various genres! So it's an event that connects people with White Space Lab as a starting point. Because it is all genres, it is a precious party that you can drink together with people who do not inters normally. Regardless of the genre, good things are good if they are good music. This time, guests from Italy DJ Mauro Vecchi will show off 3 hours set. In Italy it is a popular DJ, MIXCLOUD also has lots of followers. JOIX is a passionate and versatile Techno Producer & Liveact Performer with focus on unusual sounds, groovy vibes and a mainly deep atmosphere. He is making electronic music for over 20 years now and can look back to many gigs at clubs (like Tresor Berlin or Womb Tokyo) and festivals in Germany and Asia (Japan Tour 2014, Japan & Taiwan Tour 2017). His sound is deeply influenced by electronic music from Detroit, Berlin and Frankfurt and can mostly be descriped as Deep and Psychedelic Techno with phat basslines, strange soundscapes and drifty beats. He prefers to make music with an analog modular system (Doepfer A-100), analog synthesizers, drum machines, didgeridoo and his voice. A new beginning L+D Session! Live + DJ event to deliver with up-and-coming artists! This time from New Zealand, booking [researchintospeed]! Researchintospeed will be played in Kyoto, Kobe, Osaka etc in Japan tour 2018 and Live in White space lab in Tokyo. DJ is composed of Butterfly effect Syun Nakano etc, VJ is Hide-Low. Please take a look at the Live of researchintospeed! White Space lab presents Techno party with the concept of unknown possibility. 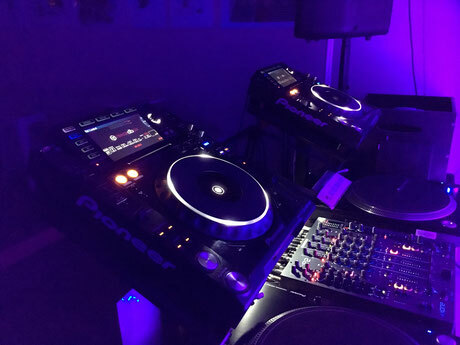 Although it is a mysterious party such as performers and timetable not being disclosed, emphasis is placed on the quality as a party, Underground techno DJs make up the best party called "Unknown". Habb. is the Minimal House duo of the moment. Both members, from the Southern French city of Toulouse, are the head of Vaporized Records. Djs, as well as producers, they both affection underground sounds that they diffuse in their groovy and mind-blowing sets. special occasion to discover new sonorities. Having performed several times in Mexico, and Ibiza; Habb. has known a certain notoriety through their long sets (after hours) where they are known to play for more than 7h. She is music selector who was born in Kyoto. Her music is based on around techno, house and jazz. She has frequently played at department store, restaurant and world famous maison.The party team ゛SALON゛not only play in the club but also supports the outdoor festivals , play at a department store and even at the spring inn. Their activity's stage overturn the common sense. Nothing Is Impossible ft. DJ SODEYAMA Presented by OneOnOne music.